Help out NWAC and have fun doing it. You use their forecasts. They save your life. At least they help you have fun. Now it's time to help them out. 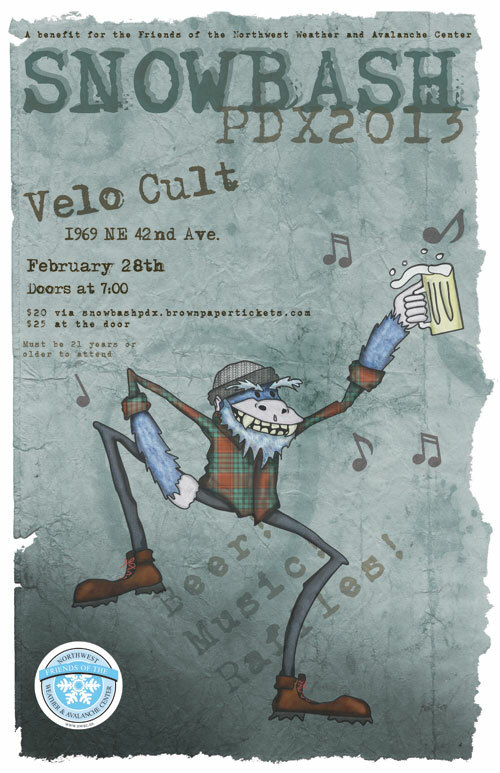 The Northwest Weather and Avalanche Center is having a music and drink fundraiser Thursday, February 28 at Velo Cult in Portland. It's 21+, so the drinks can be real (sorry youngsters, get older quick). Tickets are $25 at the door and $20 plus fees at Brown Paper Tickets. Come sing, dance, laugh and support the future of our weather forecasting.